Why does the EU need an army separate from NATO? Soldiers of the Eurocorps carry the European flag in front the European Parliament during a ceremony to mark the 25th anniversary of the adoption of the European flag in Strasbourg, May 9, 2011. What stands in the way of creating a united European army, and what challenges would it face? The European Union has once again become preoccupied with the idea of creating its own army. This question was raised by European Commission president Jean-Claude Juncker in his annual state of the union address to the European Parliament on Sept. 14. According to him, one of the options for addressing the problem of European security in the wake of Brexit is the deep integration of the member countries’ armed forces. The idea to create a European army was also supported by German Chancellor Angela Merkel, French President Francois Hollande and several other Old World political figures. Why does Europe need its own army? References to either Russia’s “unpredictability and aggressiveness” or the real terrorist threat cannot be applied here. For the so-called "containment of Russia," there is the North Atlantic Alliance, which, however, is powerless in the face of terrorist attacks in Europe. The new army also cannot be a panacea for the “terrorist disease.” The fight against militants needs not more troops, but extensive and professional law enforcement agencies, a wide network of agents and other anti-terrorist structures. They cannot be an army with rockets, tanks, bombers and fighters – you do not fight against terrorists with heavy military equipment. Is NATO really not enough for Europe, even if the alliance includes the majority of European countries, and has the rule of Article 5 of the Washington Treaty, which can be expressed in the motto "One for all, and all for one"? Is the security umbrella opened over the European Union by, among others, one of the most powerful armies in the world, which has the world's largest stockpile of nuclear missiles – the U.S. – too small? But perhaps it is Washington's interference in the affairs of the Europeans, its “messiahship” and intrusive impact on the policy of the EU, which often results in losses in the economy (sanctions against Russia), and drawing the EU into unnecessary and unprofitable wars (Libya, Iraq, Syria or Afghanistan), that is the underlying and unspoken reason for the emergence of the idea of "separate European armed forces"? Europe cannot afford two parallel armies for several reasons. Firstly, even now, a number of states are in no hurry to allocate 2 percent of their GDP to NATO’s overall defense budget, which relies mainly on Washington paying 75 per cent of the total. At the same time, the U.S. understands the hidden and long-lasting meaning of the political ideas expressed by Juncker – to minimize Europe's dependence on the White House's military decisions. Secondly, there are not enough human resources for the new army, either – refugees from the Islamic Middle East and North Africa can hardly be enlisted in these forces. Francois Hollande has suggested that a European army should be created within and based on NATO. According to him, the European armed forces must have a certain autonomy. But in an army, which is based on unity of command and unquestioning obedience to the commander or boss, there cannot be any independent structures in principle. Otherwise, it is not an army, but a bad collective farm. Any disobedience in the army is punished by a tribunal. For specific combat missions, special formations are created, which each country allocates units from its national armed forces. Some provide tank crews, some allocate missile personnel, some supply motorized infantry, signalers, repairers, rear troops, nurses and so on. 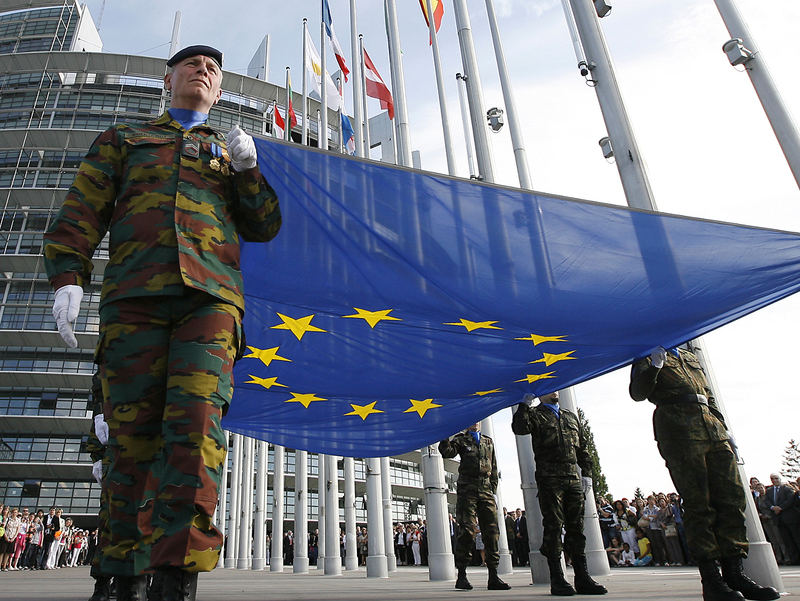 It is unclear on what principle an integrated European army should be created. It seems that the talk about a European army and its joint headquarters is another attempt to set up a new bureaucratic structure in order that European officials can continue to exist in comfort, producing paperwork and public declarations, just as they do in the EU and the Council of Europe’s Parliamentary Assembly (PACE). But if a European army is created all the same, how will Russia react? The Russians will work with it as they do with NATO. Let us just hope that the relationship will start with a clean slate and become a friendly one. Viktor Litovkin is a military expert for the TASS news agency.